April 22 is the 112th day of the year(113th in leap years) in the Gregorian calendar. 253 days remain until the end of the year. 238 – Year of the Six Emperors: The Roman Senate outlaws emperor Maximinus Thrax for his bloodthirsty proscriptions in Rome and nominates two of its members, Pupienus and Balbinus, to the throne. 1500 – Portuguese navigator Pedro Álvares Cabral lands in Brazil. 1519 – Spanish conquistador Hernán Cortés establishes a settlement at Veracruz, Mexico. 1622 – The Capture of Ormuz by the East India Company ends Portuguese control of Hormuz Island. 1809 – The second day of the Battle of Eckmühl: The Austrian army is defeated by the First French Empire army led by Napoleon and driven over the Danube in Regensburg. 1864 – The U.S. Congress passes the Coinage Act of 1864 that mandates that the inscription In God We Trust be placed on all coins minted as United States currency. 1876 – The first game in the history of the National League was played at the Jefferson Street Grounds in Philadelphia. This game is often pointed to as the beginning of the MLB. 1889 – At noon, thousands rush to claim land in the Land Rush of 1889. Within hours the cities of Oklahoma City and Guthrie are formed with populations of at least 10,000. 1898 – Spanish–American War: The USS Nashville captures a Spanish merchant ship. 1915 – The use of poison gas in World War I escalates when chlorine gas is released as a chemical weapon in the Second Battle of Ypres. 1930 – The United Kingdom, Japan and the United States sign the London Naval Treaty regulating submarine warfare and limiting shipbuilding. 1944 – The 1st Air Commando Group using Sikorsky R-4 helicopters stage the first use of helicopters in combat with combat search and rescue operations in the China Burma India Theater. 1944 – World War II: Operation Persecution is initiated: Allied forces land in the Hollandia (currently known as Jayapura) area of New Guinea. 1945 – World War II: Prisoners at the Jasenovac concentration camp revolt. Five hundred twenty are killed and around eighty escape. 1945 – World War II: Führerbunker: After learning that Soviet forces have taken Eberswalde without a fight, Adolf Hitler admits defeat in his underground bunker and states that suicide is his only recourse. 1948 – Arab–Israeli War: Haifa, a major port of Israel, is captured from Arab forces. 1951 – Korean War: The Chinese People's Volunteer Army begin assaulting positions defended by the Royal Australian Regiment and the Princess Patricia's Canadian Light Infantry at the Battle of Kapyong. 1954 – Red Scare: Witnesses begin testifying and live television coverage of the Army–McCarthy hearings begins. 1969 – British yachtsman Sir Robin Knox-Johnston wins the Sunday Times Golden Globe Race and completes the first solo non-stop circumnavigation of the world. 1972 – Vietnam War: Increased American bombing in Vietnam prompts anti-war protests in Los Angeles, New York City, and San Francisco. 1977 – Optical fiber is first used to carry live telephone traffic. 1983 – The German magazine Stern claims the "Hitler Diaries" had been found in wreckage in East Germany; the diaries are subsequently revealed to be forgeries. 1992 – In a series of explosions in Guadalajara, Mexico, 206 people are killed, nearly 500 injured and 15,000 left homeless. 1993 – Eighteen-year-old Stephen Lawrence is murdered in a racially motivated attack while waiting for a bus in Well Hall, Eltham. 1997 – Haouch Khemisti massacre in Algeria where 93 villagers are killed. 1998 – Disney's Animal Kingdom opened at Walt Disney World. 2000 – In a pre-dawn raid, federal agents seize six-year-old Elián González from his relatives' home in Miami. 2005 – Japan's Prime Minister Junichiro Koizumi apologizes for Japan's war record. 2008 – The United States Air Force retires the remaining F-117 Nighthawk aircraft in service. 2016 – The Paris Agreement is signed, an agreement to help fight global warming. Year 238 (CCXXXVIII) was a common year starting on Monday of the Julian calendar. At the time, it was known as the Year of the Consulship of Pius and Pontianus. The denomination 238 for this year has been used since the early medieval period, when the Anno Domini calendar era became the prevalent method in Europe for naming years. The Year of the Six Emperors was the year 238 AD, during which six people were recognised as emperors of Rome. The Roman Senate was a political institution in ancient Rome. 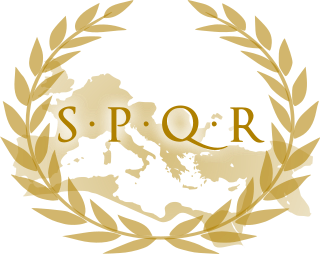 It was one of the most enduring institutions in Roman history, being established in the first days of the city of Rome,. It survived the overthrow of the kings in 509 BC, the fall of the Roman Republic in the 1st century BC, the division of the Roman Empire in 395 AD, the fall of the Western Roman Empire in 476 AD, and the barbarian rule of Rome in the 5th, 6th, and 7th centuries. Year 1412 (MCDXII) was a leap year starting on Friday on the Julian calendar. Count Reinhard III of Hanau was Count of Hanau from 1451 until his death. He was the son of Count Reinhard II of Hanau and his wife, Catherine of Nassau-Beilstein. Year 1444 (MCDXLIV) was a leap year starting on Wednesday of the Julian calendar. It is one of eight years (CE) to contain each Roman numeral once. Year 296 (CCXCVI) was a leap year starting on Wednesday of the Julian calendar. At the time, it was known as the Year of the Consulship of Valerius and Constantius. The denomination 296 for this year has been used since the early medieval period, when the Anno Domini calendar era became the prevalent method in Europe for naming years. Pope Caius, also called Gaius, was the Bishop of Rome from 17 December 283 to his death in 296. Christian tradition makes him a native of the Dalmatian city of Salona, today Solin near Split, the son of a man also named Caius, and a member of a noble family related to the Emperor Diocletian. Year 536 was a leap year starting on Tuesday of the Julian calendar. At the time, it was known as the "Year after the Consulship of Belisarius". The denomination 536 for this year has been used since the early medieval period, when the Anno Domini calendar era became the prevalent method in Europe for naming years. Epipodius and his companion Alexander are venerated as Christian saints. Their feast day is 22 April, and Alexander is additionally commemorated on April 24 in the Eastern Orthodox Church. Epipodius was a native of Lyon; Alexander was said to be a native of Phrygia, and a physician by profession. They were both martyred during the reign of Marcus Aurelius. 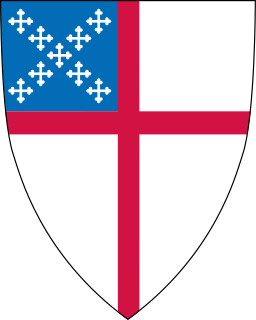 Hudson Stuck was a British native who became an Episcopal priest, social reformer, and mountain climber in the United States. With Harry P. Karstens, he co-led the first expedition to successfully climb Denali in June 1913, via the South Summit. He published five books about his years in Alaska. Two memoirs were issued in new editions in 1988, including his account of the ascent of Denali. Acepsimas of Hnaita was a bishop, martyr and saint. Arwald was the last Jutish King of the Isle of Wight and last pagan king in Anglo-Saxon England until the Vikings in the 9th century. His name may have been "Arwald" or "Atwald" - Bede's script is often difficult to read. PASE has "Arwald". February 2 is the 33rd day of the year in the Gregorian calendar. 332 days remain until the end of the year. September 24 is the 267th day of the year in the Gregorian calendar. 98 days remain until the end of the year. ↑ Durand, Frédéric; Curtis, Dato' Richard (2013). "Maps of Malaya and Borneo: Discovery, Statehood and Progress. The collections of H.R.H. Sultan Sharafuddin Idris Shah and Dato' Richard Curtis". Kuala Lumpur: Editions Didier Millet. p. 36. ISBN 9789834477370. ↑ Moore, Stephen L. (2004). Eighteen Minutes: The Battle of San Jacinto and the Texas Independence Campaign. Dallas: Republic of Texas Press. pp. 374–379. ISBN 9781589070097. ↑ Weed, Mike (2008). Olympic Tourism. Oxford, UK: Butterworth-Heinemann. p. 157. ISBN 9780750681612. ↑ Mink, Nicolaas (2010). "Earth Day". In Chapman, Roger (ed.). Culture Wars: An Encyclopedia of Issues, Viewpoints, and Voices. Armonk, N.Y.: M.E. Sharpe. p. 148. ISBN 9780765617613. ↑ ""Carlton Crescent: Southampton's most spectacular Regency development"" (PDF). web.archive.org. 2013-01-27. Archived from the original (PDF) on 27 January 2013. Retrieved 2019-01-30. ↑ "Women of History - B". abitofhistory.net. Retrieved 2017-10-19. ↑ "Rutledge Wood" . Retrieved 1 October 2018. ↑ Thomas, Fred. "Machine Gun Kelly Biography". allmusic. Retrieved September 17, 2017. ↑ "Vale Polly Samuel (aka 'Donna Williams') 1963-2017". Polly's pages (aka 'Donna Williams'). 2017-04-30. Retrieved 2018-04-03. 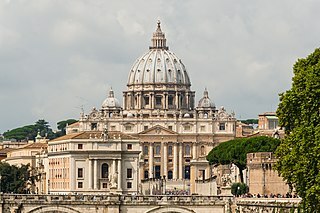 ↑ "Saint of the Day - 22 April - Pope Saint Caius I". 16 April 2018. ↑ Online, Catholic. "St. Senorina - Saints & Angels - Catholic Online". Catholic Online. ↑ AnydayGuide. "Discovery Day in Brazil / April 22, 2018". ↑ "Earth Day 2018 - End Plastic Pollution". ↑ "International Mother Earth Day - 22 April". www.un.org. ↑ "Serbia - IHRA". www.holocaustremembrance.com. ↑ "Stephen Lawrence Day to be held annually". 23 April 2018 – via www.bbc.co.uk. Wikimedia Commons has media related to April 22 .